It’s great to explore individual pubs, but you could also make a day or a night of it. That’s why we’ve developed a series of trails based on NottsNight’s favourite watering holes. From this page you can navigate to the online version of each trail or – in most cases – choose a download version. Hockley is Nottingham’s party central at weekends, and as such it can be a challenge to navigate around the overpriced cocktail salons and downright dives to find a decent pint. Thankfully, we’ve done the job for you. Full revised for 2019. 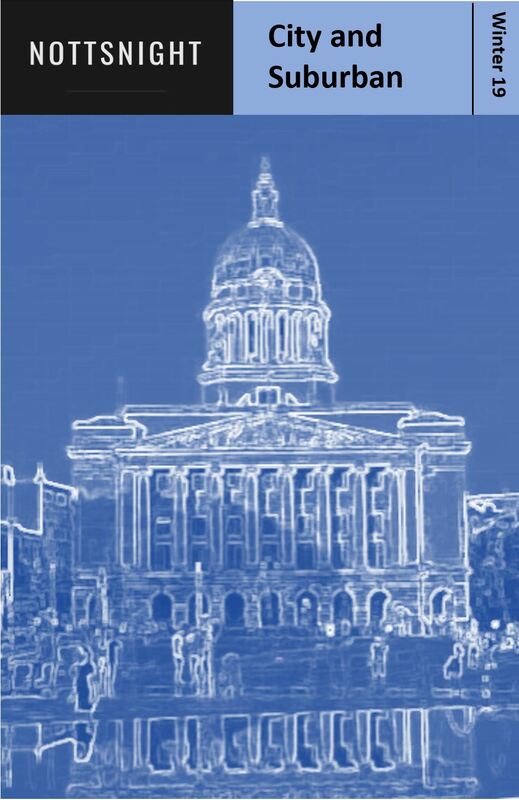 REFRESHED MAY 2018 : Step through some of Nottingham’s industrial history with the Canning Circus Trail. Here, you’ll find pubs bursting with character, and with some of the most diverse selections of beers. Cosy fires welcome you in the winter, while in the summer you’ll enjoy plenty of outdoor space. REFRESHED MAY 2018 : Nottingham’s industrial success wouldn’t have been possible without the Nottingham and Beeston Canal. And the area is undergoing something of a revival – with two new micropubs complementing traditional bars. Explore them all on The Canal Trail – 2018 Edition. Look out for Robin Hood, the Sheriff of Nottingham and relive a thousand years of legends on The Castle Trail. Here, you’ll visit drinking holes of vastly varying styles and enjoy plenty of people watching opportunities. Take a trip out of the city to explore micro pubs and true giants on The Beeston Trail. The town has arguably one of the largest collections of cask ales anywhere in the whole of the county, and this route provides plenty of variety, as well as a moderate stroll between the venues. Refreshed for April 2018. Nottingham is famous for its caves – some of which date back to medieval times. With our lovely NottsNight Underground Trail you can find out which bars boast the city’s best kept examples. 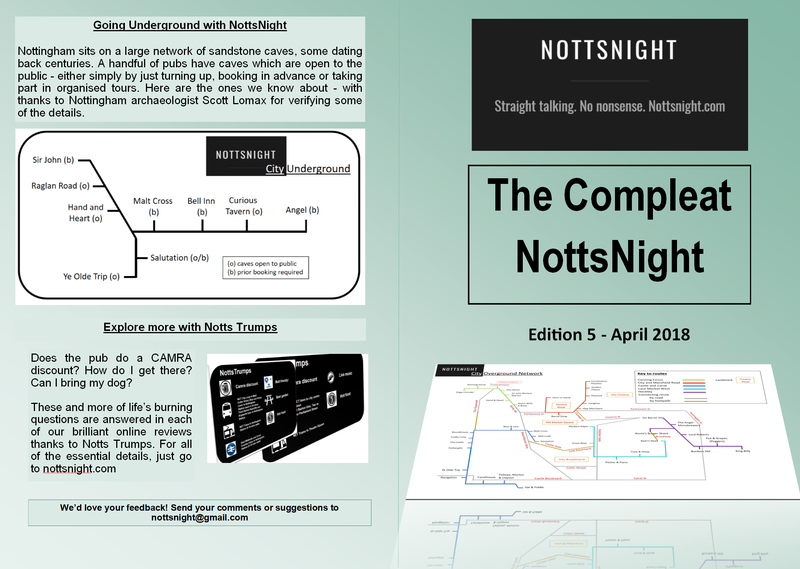 Our rather lovely all-in-one guide to NottsNight’s bars in the city – and the suburbs. All new for November 2018. 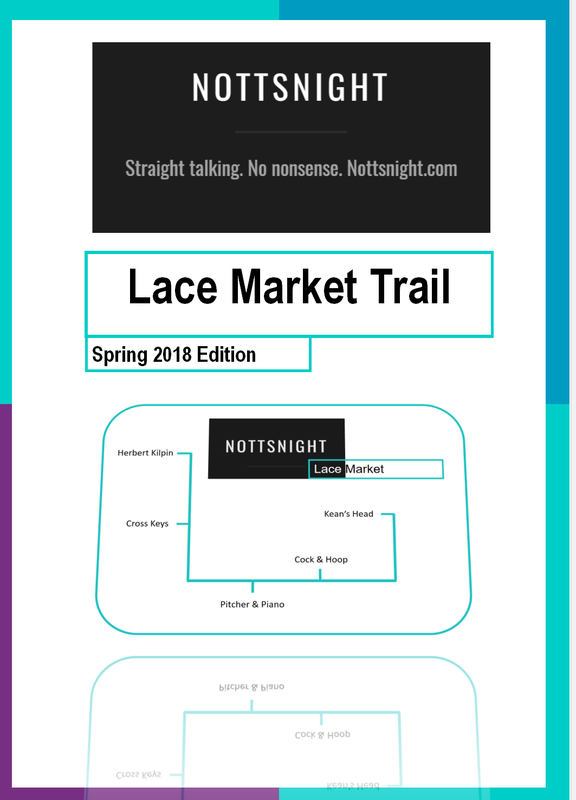 Combining old and new, the Lace Market Trail takes you around no fewer than six bars. Mix and match according to your tastes or prepare yourself for a real challenge. This is a trail for all tastes, taking in both craft beers and real ales. It’s also easily walkable. Updated for Spring 2018.